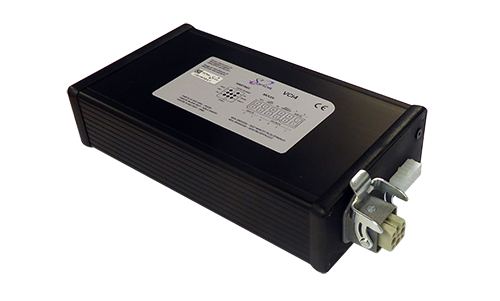 The Sorion VCi4 (Vehicle Communications Interface) is a high performance interface for advanced vehicle diagnostics. 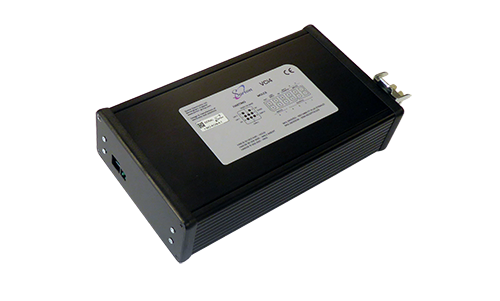 The VCi4 is a micro-processor based system that is specifically designed for the communicating, controlling and testing of bus based vehicle systems and sub-systems. It can operate as a standalone unit or installed in a Sorion test rack. The VCi4 enables customer specific software solutions to be implemented. Having CAN, LIN interfaces as well as analogue and isolated digital I/O the VCi4 allows integration to external systems. The unit has an opto-isolated USB interface for programming and integration as well as status LEDs. The unit is designed with a solid aluminium housing for operation in harsh manufacturing environments. The unit can also be clamp mounted / DIN mounted. 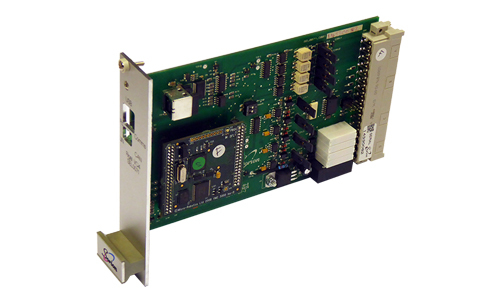 The Eurocard version of the product allows for installation in a Sorion SEL0075 test rack.